Protects Goldfish and Koi against infection by destroying harmful parasites, bacteria and fungus. Helps prevent against Ichthyopthirius, multifilis (white spot), Costia, Chilodonella, and Trichondina. 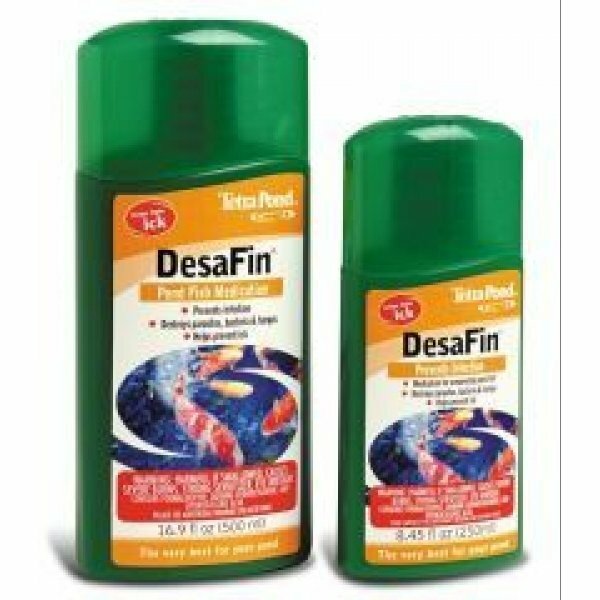 DesaFin for Pond Fish has different options and/or variations, please choose below.